Enroll in the most challenging academic programs. Take the PSAT if available. Check “yes” for Student Search Service if you want colleges and universities to try to recruit you. Start (or continue) your search for colleges. To find schools that meet your criteria, try our college search tool! Create a file and/or a spreadsheet to manage your college search, testing, and application information. Meet with any college representatives who visit your high school, and attend college fairs in your area. If alumni visit your high school, or if college friends come home during their breaks, talk with them about their college experiences. Prepare for standardized admission tests like the SAT, ACT, and SAT Subject tests by taking practice tests and discussing the exams with your professors. Meet with your counselor to discuss college plans. Talk to your teachers and guidance counselor about taking SAT Subject Tests this spring. Even if a college does not require them, Subject Tests can often add support to an application. Create a one-page résumé that records all of your accomplishments, involvements, and work experiences over the past three years. When registering for senior year classes, be sure to select strong college preparatory courses. Consider IB and AP courses, if available. Register for all applicable standardized tests if you have not done so already, and continue to prepare for them. Continue seeking out alumni and school representatives to learn more about their college journey, and attend (more) college fairs, if possible. 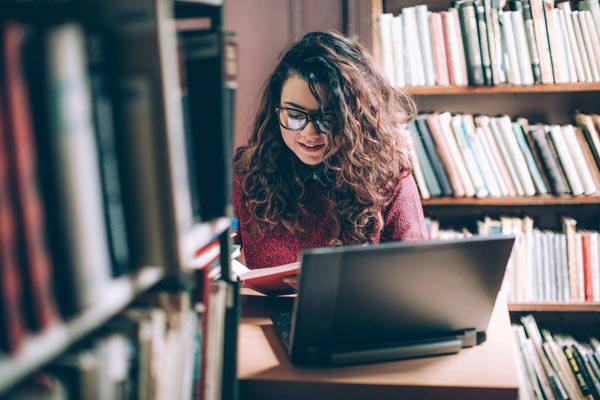 Explore financial aid possibilities with your own online research, through your high school college counseling office, your library, and your parents’ connections (employers, professional organizations, religious affiliations, etc.). And start looking for scholarships! Stay involved: work to help pay for college, attend a summer program on a college campus, or get involved in an internship relevant to your career choice. Start thinking about your college essays. Pick a topic and write a practice essay. Ask potential recommendation writers (especially those you know will be getting a lot of requests, like coaches) if they would be available to write you a recommendation in the fall. Complete the FAFSA online after October 1—the sooner, the better! Meet with your counselor and tell him/her what you accomplished over the summer. Review your transcript with your counselor. Make sure you're aware of all possible application deadlines (for admission as well as financial aid, housing, special programs, etc.) for any schools you're considering. Use a calendar and/or your spreadsheet to keep track. Also make sure you have taken all necessary standardized tests well before those application deadlines. Narrow down your list of colleges. Be sure to include “safe” schools as well as “reach” and “realistic” schools. By the end of the semester, you should finalize your choices, but you may need to finalize your list sooner if you want to apply early admission to any of your schools. Follow up on recommendations from your teachers or remind people you talked to in the spring. Finish your application essays. Ask teachers to read them. Ask the college financial aid office about all financial aid forms that need completion. Continue sending in applications with later deadlines or rolling admission policies. Most applications should be completed by the end of February. Throughout the semester, do not slack off (also known as “senioritis”)! Colleges want to see strong second-semester grades, so keep up the momentum in your academic studies. Continue searching for scholarship opportunities online, in books, and more. By April, admission decisions will begin to arrive, so review your college acceptances and financial aid packages. If you have questions, talk with college admission or financial aid counselors. Notify the college you chose of your decision to attend and send a deposit by the May 1 deadline. You should also notify the colleges you did not choose, so they can offer admission to others. Thank teachers and/or counselors who wrote recommendations for you. Tell your counselor and registrar what school you have selected so that your final transcript will be sent to the appropriate university or college. Get a job and/or search for other ways to earn money to help pay for college. Attend orientation meetings offered by your school. Pack for college and get ready to go!